If your current blue jeans can't take the heat, find a pair that does. We've found just the right pair of men's jeans for you that can guard you against flash fires, electrical arc flashes, and other high heat situations. These Ariat Men's 10015160 Flame-Resistant ... (see full details) (see specifications) #ARW10015160. If your current blue jeans can't take the heat, find a pair that does. We've found just the right pair of men's jeans for you that can guard you against flash fires, electrical arc flashes, and other high heat situations. These Ariat Men's 10015160 Flame-Resistant Slim Straight Leg Clay Jeans are built tough, and they're ready to keep you safe and comfortable while you're on the job site. The rugged, flame-resistant jeans have a Hazard Risk Category (HRC) of 2. This indicates the level of protection the men's workwear provides to you. Ariat flame-resistant denim offers you with protection in extreme environments, as it meets the NFPA 2112 and NFPA 70E standards for guarding wearers against potential flash fires and electrical arc flashes. These straight leg jeans have an Arc Thermal Performance Value (ATPV) of 9.5. The 13-ounce denim it designed to keep you safe. You'll also have a style that looks great everywhere. These will fit over your favorite pair of work boots, thanks to the essential straight leg design. The versatile M5 style has a low rise waist, and it's slim through the seat and thighs. Along with the sleek, straight leg design, there are no-rub comfort inseams to make sure your walk is natural and unrestricted. The premium, ringspun denim is comfortably soft, yet durable enough to last in harsh work conditions. The material has been hand sanded for the ultimate styling, and there are heavy duty zippers and hardware to add to the long-lasting wear of the slim fit jeans. You'll have two extra deep front pockets for storage purposes, and there are also anchored belt loops for you to use. Get yourself a pair of Ariat Men's 10015160 Flame-Resistant Slim Straight Leg Clay FR Jeans that can withstand a lot of heat. The durable material is something you want surrounding your lower half, so order this Ariat workwear from Working Person's Store today! I love these FR jeans. I bought them for my husband. The fit is perfect. They look terrific. You'd never think he was wearing fr jeans. They look as nice as his best Lucky jeans. They are not as stiff, thick and heavy felling as most fr jeans making them so comfortable. They are a bit pricey but when you should feel good in the clothes you wear everyday. He passes on the free fr clothes his company provides because they are tacky and uncomfortable. Love the great deal I found on this site. I was not fully understanding what slim fit is until I bought a pair and actually tried them on. They are to snug and tight for me to wear for everyday working. They are very well constructed and the quality is top of the line but I just didn't like the slim fit and design. Great product arbor wear. 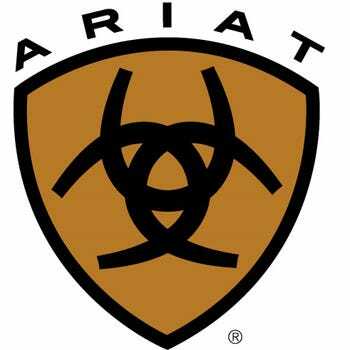 Ariat Jeans: Men's 10015160 Flame-Resistant Slim Straight Leg Clay Work Jeans is being added to your cart.